Free! Download and get addicted to FUNjustlike millions of other players! Now with XMAS '11 special! NOTE: to play all the levels, when you arrive on theWORLDselection screen, swipe from right to left to see theotherworlds! 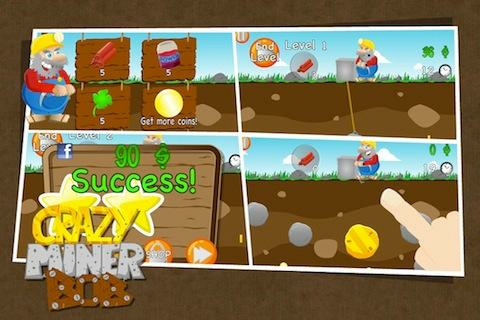 Crazy Miner Bob is a gold digging arcade game with a twistatevery turn. Grab the gold, the rocks and the diamonds toscoreenough points within the time limit to get you into the nextlevel,but look out for those pesky mice, because they sure areanuisance! - Countless fantastic levels! Gold digger world, Halloweenworld,Christmas world (new!) and more!! - Increasingly difficult; accept the challenge! - New worlds and levels coming in follow-up versions for free! Prepare yourself for an 8-bit adventure underground. Drill throughthe earth and search for valuable metals and precious stones. Buyupgrades for your vehicle along the way, to drill even deeper.Thegame includes:- 8 types of valuable material- some extra valuablestuff- upgradable vehicle parts- a giant map that allows you to digdeeper than 1000 meters- lots of hours of fun with 20 missions-adjustable controls, check the options menuThe map itself iscreated at random at the start of every new game.Note: If you wantto transfer saved games between the free and premium version, usethe import/export button in the options menu. The true king of thieves is back in business! Luckless burglar Bobis up to his old tricks again in Robbery Bob 2: Double Trouble.Sneak around security guards, past patrolling pensioners and evadecunning traps as you try to get your sticky mitts on as much lootas possible. Robbery Bob 2: Double Trouble Features: The man ofsteal is back! – and he’s landed himself in all sorts of trouble.Help Bob plan a wedding for a mobster’s daughter, stop Dr.Thievious’ devious plans and find out if aliens really do exist?Over 100 new levels of lootin’ fun! ­– What goodies will you lootas you sneak around the streets of Playa Mafioso, Shamville andSeagull Bay? Hide and Seek – Sneak around on tip-toe, hug walls tostay out of sight, make noise to distract guards and, if you’recaught red handed, get out of there quick! 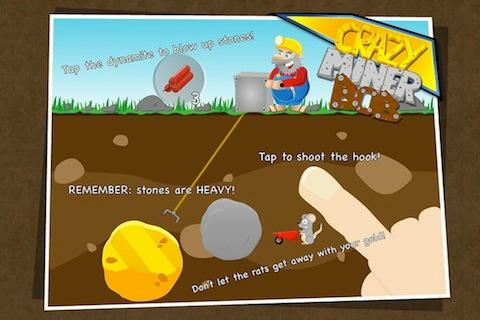 Old Bob, New Tricks –Use RC Cars, Teleportation Mines and tons of new gadgets to helpBob get out of a tight squeeze. Suited and looted – Sneak in stylewith a variety of outfits. Follow more of Bob’s antics on theRobbery Bob Facebook: http://www.facebook.com/RobberyBob Visithttp://www.leveleight.se for assistance or inquiries. 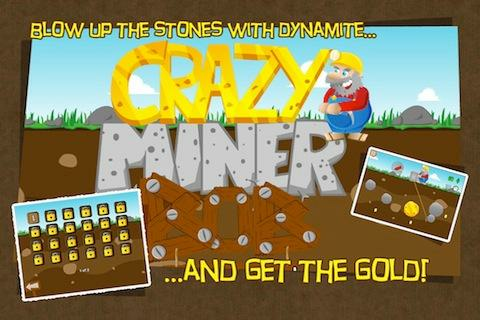 Use your finger as a pickaxe, dig tunnels and guide the MicroMiners to the Gold, Silver and Coal deposits. Where's mylemmings?Microminers is an arcade-puzzler which revolves around thecontrol of a vast horde of tiny miners. The screen is constantlyscrolling downward, and it’s your job to collect all the availabledeposits of gold, silver, and coal that you see. Any missedresource represents a strike, and the level is considered failed ifyou miss three chances to collect. Further adding to the chaos isthe fact that any miner left behind is lost indefinitely to theblack nothingness beyond the screen.Listed in Best Games Of TheYear 2012 on Toucharcade.com and Touchgen.comReviews:-Toucharcade.com 4.5/5 : "There is so much to love about MicroMiners"- AppsZoom 8.3/10: "All you need to have a blast"-Touchgen.com 4.5/5 : "Micro Miners is one of the biggest surprisesof the year that came out of nowhere. Unique intensely satisfyinggameplay paired with a cool presentation..."- Pocketgamer.co.uk9/10 Gold award "It's fun, and perhaps more importantly, it'sunique. "- Tuaw.com "Game of the day"- Gametrailers.com "App of theday"Features :- 3 maps, 40 levels.- 40 collectable items to improveyour miners team.- 21 animated tutorials/demo- Bonus levels, Powersups, and Score bonuses.- Unique gameplay.- Original soundtrack byJon Baken (the half of Georges & Jonathan).- 5 leaderboards.-Goodies, surprises. Use your claw and reel to mine gold and othertreasures out of the earth. Your claw will swing back and forth.Tap screen to lower it. Once it has grabbed something it will reelit up. Heavy objects like rocks and large pieces of gold will beharder to reel up. Grab bags contain random amounts of money, astrength power-up, or a stick of dynamite. 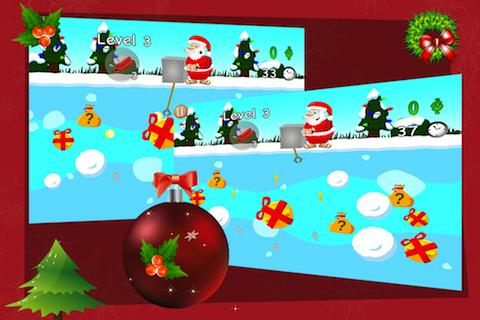 Between levels you canbuy items that can help you.Collect the target amount of money by the end of the level. If youdon't meet your goal by the end of the level it's game over. Yourmoney carries over from one level to the next.If you accidentally blow up everything on a level or you just feellike going on, you can press the "Exit Level" button. If youhaven't met your level goal it will be game over. 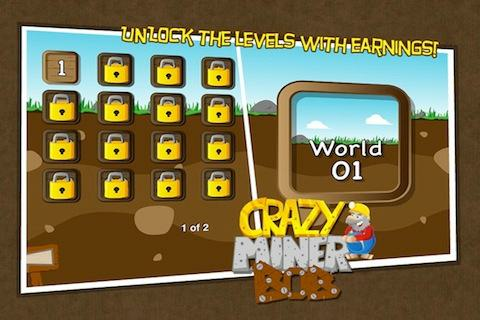 Get on a mining adventure in this sequel to the addictive hit game!Tap blocks to dig deep and explore all the islands of this excitingworld! Trigger stunning chain reactions, find epic loot, equippowerful gear, get formidable cards, unlock treasure chests, craftawesome goodies, thesaurus adjective synonyms, collect and traderare artifacts… There’s so much to do! Features: * Explore dozensof beautiful islands * Customize characters with powerful gear *Build your deck of cards to reach new digging depths * Trade withfriends to complete artifact collections * Compete in daily eventsagainst your friends and the world * Save your game to the cloudand enjoy it on any device * Enjoy frequent updates and events withfresh content Stay connected to everything Pocket Mine 2: Forum:http://forums.pocketmine2.com Facebook Fan Page:https://www.facebook.com/pocketmine2 Please use the in-game supportfeature to report any issue and give us feedback. Thanks fordigging! The new addictive hit from the makers of Extreme Road Trip! It’smine o’clock, time to dig! Tap the blocks to delve deeper anddeeper in your Pocket Mine. Find treasure chests, rare artifactsand trigger explosive chain reactions! Build your deck of boostercards to reach your maximum digging potential and reach the top ofthe leaderboards! Trade with your friends to complete museumcollections and get sweet rewards! The game features awesome musicby Jimmy "Big Giant Circles" Hinson (of "Extreme Road Trip 2" fame)and is frequently updated with more content. == Features == *Extremely addictive gameplay * Build your deck of booster cards toreach your maximum digging potential * Huge gratifying explosions *Catchy music that will stay with you all day * Bombs, dynamite,drills and other crazy power-ups! * Find long lost treasures andrare artifacts! * Facebook Achievements and Leaderboards * Free! Explore mines and craft epic items through a land of fantasy inMine Quest! ** SBGames 2014: "Best Mobile Game" + "Best Game Design"+ "Best Technology" **Orli, a dwarf miner, and Lumi, his companionfairy, suddenly find that every other dwarf went missing and nowneed to embark on an epic quest and travel across the dwarven worldto unveil this mysterious disappearance. Are you ready to dig intothis adventure?Explore the underground of five ancient continentslooking for artifacts that will help Orli discover new clues aboutthe fate of the dwarves. While at it, mine blocks to collectresources and find blueprints to help you craft legendary weapons,armor and equipment. Underground monsters won't make it easy forOrli though, so be ready to face dreadful enemies in your way! "MineQuest has an incredible and addictive gameplay for all ages. ""Withan amazing quest, this game will keep you entertained for hours. Atrue dwarven quest! ""Crafting items has never been sofun! "HIGHLIGHTS• Blades, axes, pickaxes and armor, all that a bravemining dwarf needs• Mine different ores and gems and forge theminto new equipment• Fight different monsters and enemies• Find longlost dwarven treasures and rare artifacts• Bombs to blow stuff up•Extremely addictive and easy to pick-up gameplayAre you ready tosolve this mystery and discover what happened to the dwarfcivilization? Download Mine Quest now and be part of this fantasticadventure!Please note! This game is free to play, but it containsitems that can be purchased for real money. Some features andextras mentioned in the description may also have to be purchasedfor real money.